surrounding Osborn Aquatic Center and Northwest Corvallis. All courses (10k, 5k and 1k) start and finish under the red inflatable arch, near the Linus Pauling Middle School basketball courts, at the West end of the parking lot, on the main access driveway. The 10k halfway point is at the start/finish line and proceeds with the second lap identical to the first (two times through the entire 5k course). See map for the 1k course below. 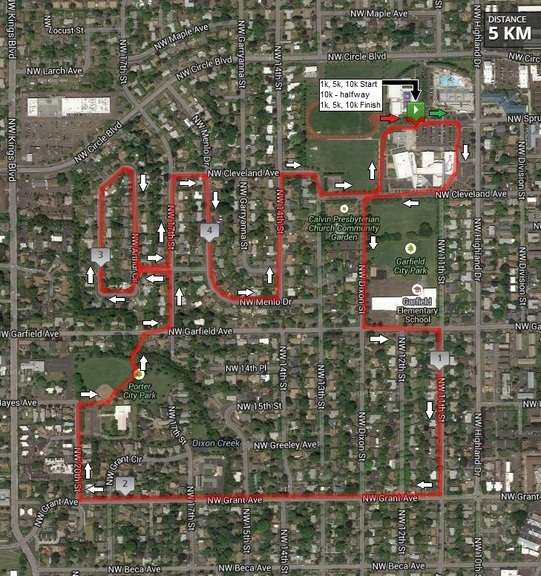 The "1k" Little Gobblers' Trot course is very simple. 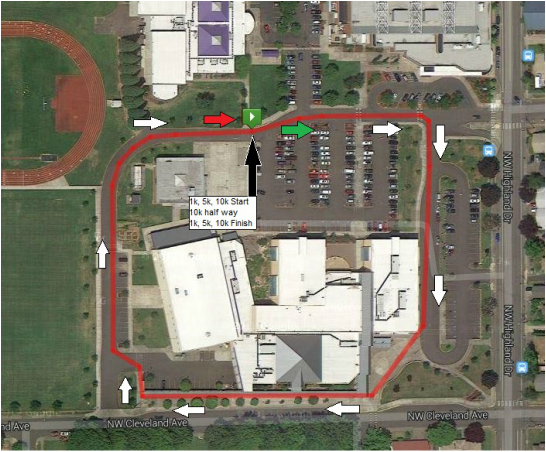 It starts and finishes at the same start/finish line as the 5 & 10k races - near the basketball courts at the West end of the parking lot on the main access driveway and proceeds on sidewalks and driveways clockwise around Linus Pauling Middle School. The distance is somewhat less that 1 kilometer.